Orlando, Fla. (November 4, 2015) — Orion Technologies will be presented with the GrowFL 2015 Companies to Watch Award this Thursday. This award is given to companies whose momentum and practices point toward significant growth over the next several years. Orion Technologies was selected from more than 500 nominees for Florida Companies to Watch, a statewide program managed by economic development group GrowFL, in association with the Edward Lowe Foundation.  Orion Technologies’ strong leadership, innovation, customer focus and strong community involvement were among several factors contributing to the award selection. “We are very honored and pleased to receive the award.” said Orion CEO Nirav J. Pandya, further adding, “This award reinforces our core company philosophy, we put our customers in the center of our business and believe that success will follow.” Since Mr. Pandya taking over as CEO of Orion in September of 2012, the company has doubled its revenue each year and is forecasted to do so again in 2015. The company, which designs embedded computer solutions for major defense contractors including Harris, L3 and Northrop Grumman, has grown from 5 employees in 2012 to over 20 in 2015. Orion will be expanding into a new facility in the Central Florida Research Park in February 2016. In total, the 2015 Florida Companies to Watch have generated more than $1.2 billion in revenue and created nearly 1,000 jobs between 2011 and 2014. The awardees will be officially recognized November 5th at the Hard Rock Live, Universal CityWalk, Orlando.